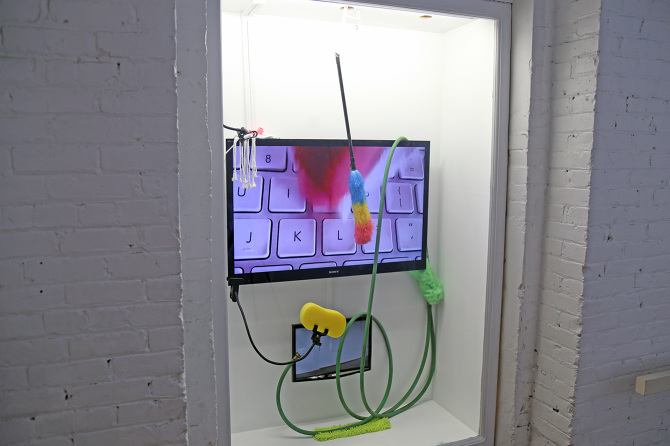 Integrated Media student Colin Rosati’s award-winning programming, electronics, video and installation works take ideologies to their extremes. He describes it as similar to how science fiction exaggerates ideas and creates speculative scenarios to drive people to examine what’s happening now. “I’m interested in the notion that art is about creating new associations in order to find meaning in our lives rather than making new original aesthetic content,” he says. He works with a variety of technologies and analyzes how we engage with them in everyday life. If there’s a new technology he wants to address, he learns it. For example, he taught himself how to use the Facebook API (interface for building software applications) last semester to create a satirical web application that produces custom apparel. Then he exhibited the work, Gnothi Sauton, at Panke Gallery in Berlin as part of this year’s Wrong Biennale. 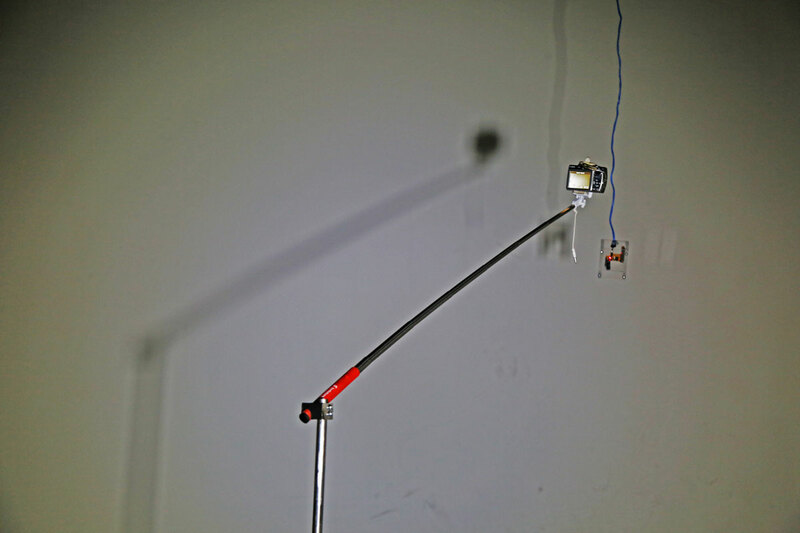 He’s learning about electronics and physical computing to make installation art out of hacked consumer technologies, such as hacked disposable cameras and selfie sticks. His work often addresses misconceptions around technology. “My practice involves looking at relationships which are increasingly mediated by technologies that bias and facilitate particular ways of seeing and behaving,” he says, noting that he spends a lot of time on the Internet, YouTube and social media as research spaces. He sees the potential as well as the possible negative implications of the blending of art and life today. Rosati chose to study at OCAD U to gain broad-base knowledge in art, fabrication process and theory, and he also recognized that OCAD U would help introduce him to the Toronto art community and forge connections. In 2015 he won the Emerging Digital Artist Award sponsored by Equitable Bank for his interactive installation video work Autocidal After Image, which was exhibited at OCAD U’s Xpace Cultural Centre before it became part of the bank’s permanent contemporary art collection. He’s also shown works at Trinity Square Video, #Hashtag Gallery, Oz Studios, YYZ Artists’ Outlet and the Augmented Cinema Film Festival in Toronto, as well as in galleries in Montreal and Berlin. After graduation he plans to continue his research-based art and also work in software development, creating meaningful products with a similar sensibility to that of his creative practice.